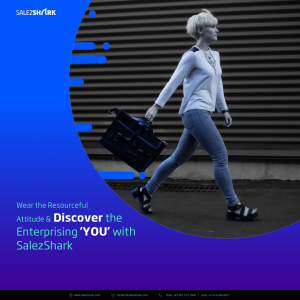 Any organization that has grown as an established one; or perhaps still in the growing stage will always be in the need of best Reasons why SMEs need SalezShark CRM Today, that would promote customer satisfaction, productivity and collaboration in the business. As your business progresses, you will transform the inevitable pains into scalable business strategies that facilitate to adopt a CRM solution for better customer relationships and lead management. With a gradual increase in SMEs like yours, there has been a significant hike in the adoption of CRM system that helps to meet sales goals and drive better revenue. Referring to the research of Capterra, here are some few statistics that will compel you to invest in CRM for future growth & profitability. More than half of CRM users reported a significant impact of customer satisfaction in their day-to-day experiences. Based on the statistics, we are highlighting 6 prevalent signs that loudly say your business needs a CRM. If your salespeople use excel, Google sheets, or sticky notes to keep the track of sales leads, then it’s high time to adopt a CRM. Your manager is already on his toes to remind you of your sales target and it is your responsibility that any opportunity with prospects or clients should not to be missed, even if it is of any dire consequences. An investment in CRM would definitely result in the effective sales pipeline management and eventually a planned sales information. With a little help from CRM solution, you can plan and implement customer centric approach to resolve customer queries and grievances for better customer relationships. Did you follow-up with your last sent email? Was the call made within the 24 hours of the demo? Did you rectify the customer complaint and reach him again for any further support? In such cases where you are completely clueless about your team work or where exactly the prospect’s interest drop off, you need to implement a sales CRM into your organization. With time-saving features such as scheduling alerts & reminders, you can easily manage & track teamwork on the go. The sales team is assigned to bring the revenue, while the customer support is dedicated to resolve customer queries. In situations where your staff is not using the CRM, it would be completely difficult to track the sales stage of any lead, or who is taking what next step with the prospect. However, it only adds the already existing sales concerns, both internally & for your customers. The sales CRM can facilitate salespeople to get proper insights of every sales stage and assist in providing significant details about the feasibility of sales goals and target. Even in the age of newest innovation and technological advancement, many organizations are at risk of losing their valuable information and significant data when any decision maker leaves the company. In cases when you don’t have a proper CRM, your prospects might just walk away from your door due to the missing information. Hence it is essential to keep your leads data at one place that should be accessible by every team member. 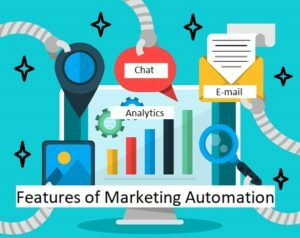 Besides, with the implementation of CRM, you’ll have better understanding of data analysis and sales reporting to nurture your customer relationships. Even if you are not selling, nor having a formal customer service program, you can still enjoy substantial benefits of CRM by integrating with accounting software for better sales and accounting communication in regard to billing cycle, forecasting and modifying accounts receivables. With such data-sync initiatives, you no longer have to maintain the hard copies of accounts, estimates, contacts and other sales data. If everyone in the organization will be heading towards one specific goal of nurturing relationships with your customers, vendors, clients and partners, you will automatically enhance the team’s productivity. ycfnds,A very good informative article. I’ve bookmarked your website and will be checking back in future! wnuqiwzqca,Thanks for ones marvelous posting! I actually enjoyed reading it, you will be a great author.I will always bookmark your blog and will kqcahj,come back from now on. I want to encourage that you continue your great writing, have a nice afternoon! dlvxagf,This website truly has alll of the information and facts I wanted about this subject and didn?t know who to ask.